Found one file extension association related to X-Pert and 1 file format developed specifically for use with X-Pert. Micro Planner X-Pert can handle up to 10,000 operations (tasks, milestones, etc.) and up to 50 subprojects per file. X-Pert is used primarily at higher levels in an organization by Vice Presidents, Directors, and other executives to consolidate and report on the progress and cost performance of many projects, and to better manage the allocation of scarce resources among the highest priority projects. 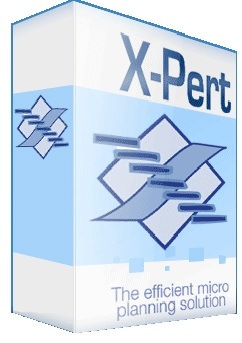 If you need more information please contact the developers of X-Pert (Micro Planning International), or check out their product website.